The University of Los Lagos (Chile) has recently installed an oceanographic observation system in the Seno de Reloncaví (Reloncaví Sound) immediately south of Puerto Montt in Southern Chile, the first of its kind in the Patagonian region. 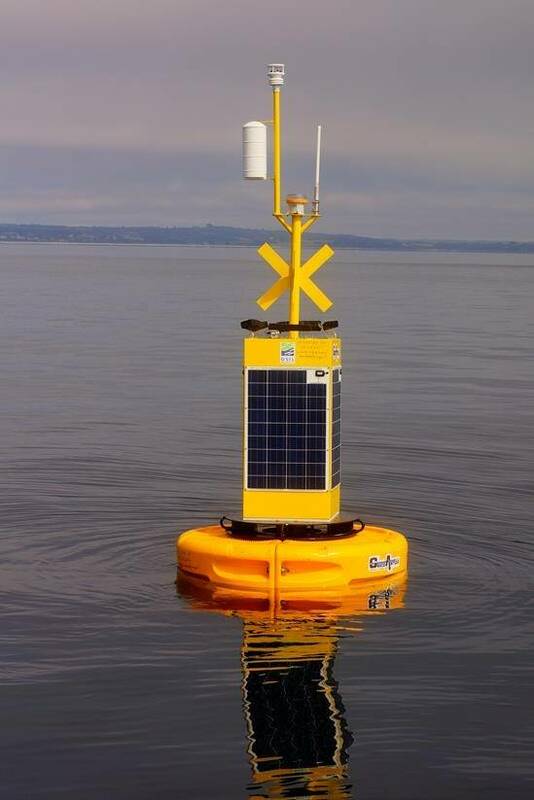 The 1.9m buoy system was specifically designed and produced by U.K.-based integrated systems providers Ocean Scientific International Ltd (OSIL) to accommodate and integrate the instrument package required by the university project. A uniquely designed deployment bracket holds an ADCP and a current meter 5m below the buoy on the mooring assembly and includes a swivel to prevent entanglements, while the secure top frame accommodates a compact weather station measuring wind speed/direction, temperature, relative humidity and barometric pressure, and includes a GPS unit. The buoy was supplied with two AML Metrec•XL multiparameter sondes to measure temperature, salinity, oxygen, pH, chlorophyll A, and turbidity; One mounted within the moon pool of the buoy to ensure the sensor is well protected, and the other supplied with a unique independent profiling frame with an external battery canister to allow standalone measurements to be taken throughout the water column from the side of a vessel when required. The Metrec•XL units are also equipped with UV•Xchange modules to prevent biofouling. Data from the buoy is relayed to a shore side base station via GSM, with a range of telemetry and data handling options available from OSIL. The project, entitled "On-line oceanographic observation system for the prevention of environmental catastrophes in the region of Los Lagos,” is intended to detect early warning signs of harmful environmental changes such as red tides, algae bloom, fish mortality, volcanic eruptions and extreme weather events, and the data gathered will also serve as a reference for all stakeholders in Los Lagos’ marine ecosystem. The system was supplied locally through Casco Antiguo.